Each 12 brush set contains nine tapered and round bristle brushes in sizes 1 to 9, and three flat bristle brushes in .5", .38" and .75" widths. Tapered bristles work well for detail painting, while the flat brushes allow students to lay in large areas of color. 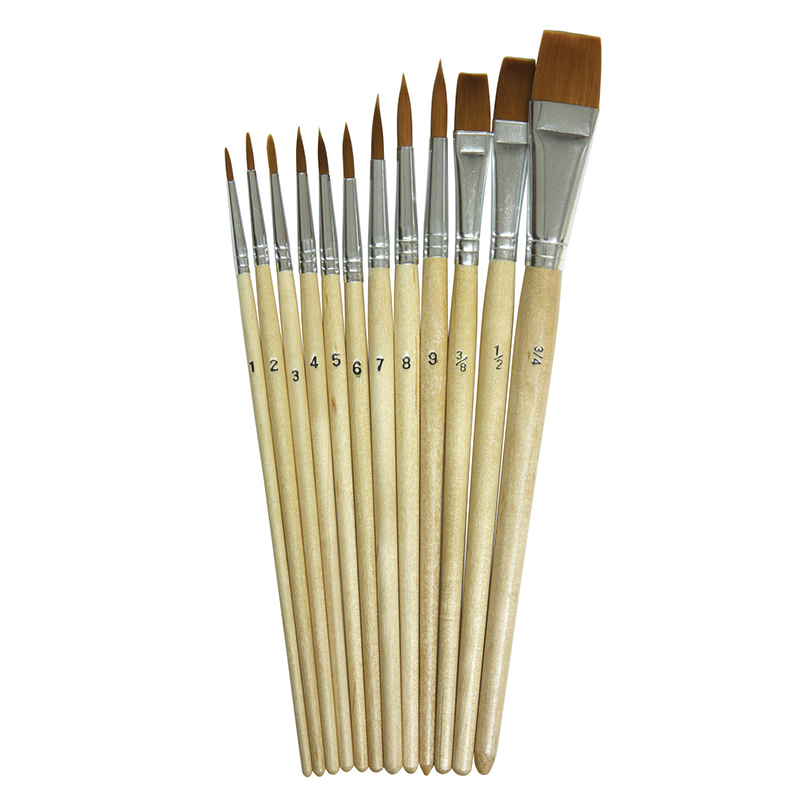 Brushes feature short, natural wooden handles, soft synthetic bristles and seamless aluminum ferrules. 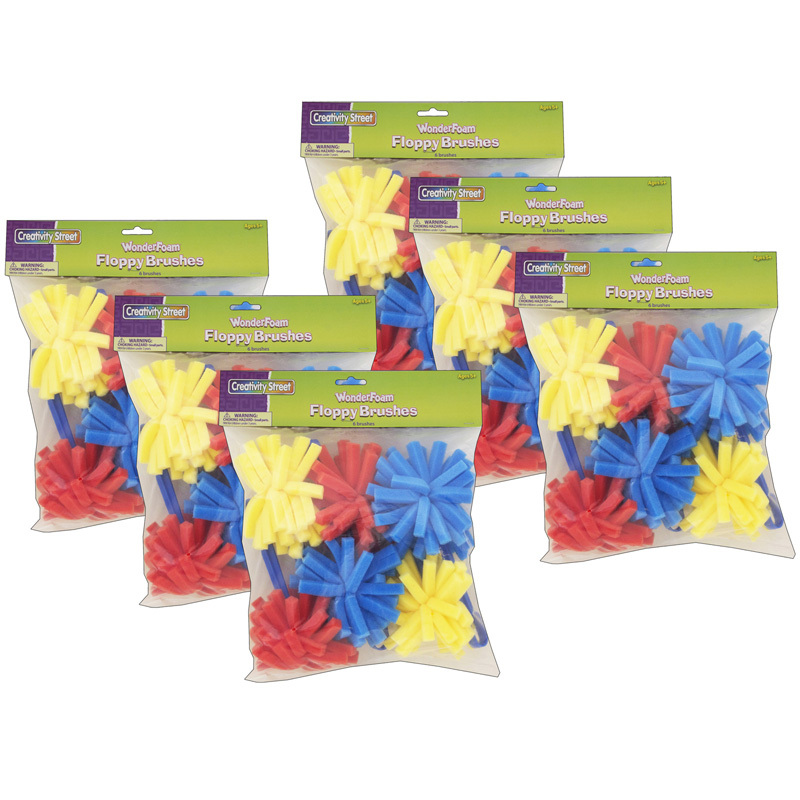 Sold as 4 sets for a total of 48 brushes. 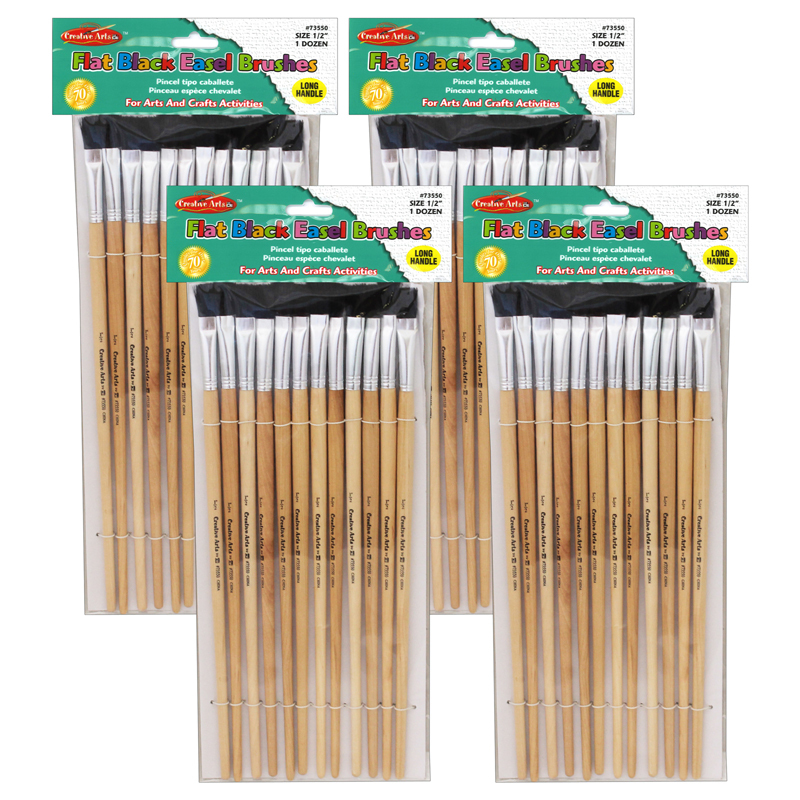 The (4 St) Watercolor Brushes 12 Per Pkassorted Sizes can be found in our Paint Brushes product category within the Arts & Crafts.